This collection of four never-before-heard recordings from Fame Studios vaults represents just a tiny fraction of the unissued masters that will be appearing on Kent in the course of the next couple of years. 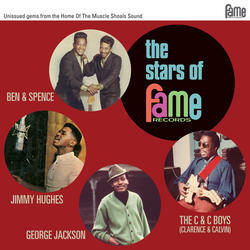 These tracks all date from the mid-late 1960s - the peak years of Southern Soul - and have all been specially chosen to represent all facets of the classic, and immediately identifiable, Fame Studios sound. Limited edition of 1000.